Looking for somewhere to go on this upcoming school professional day? 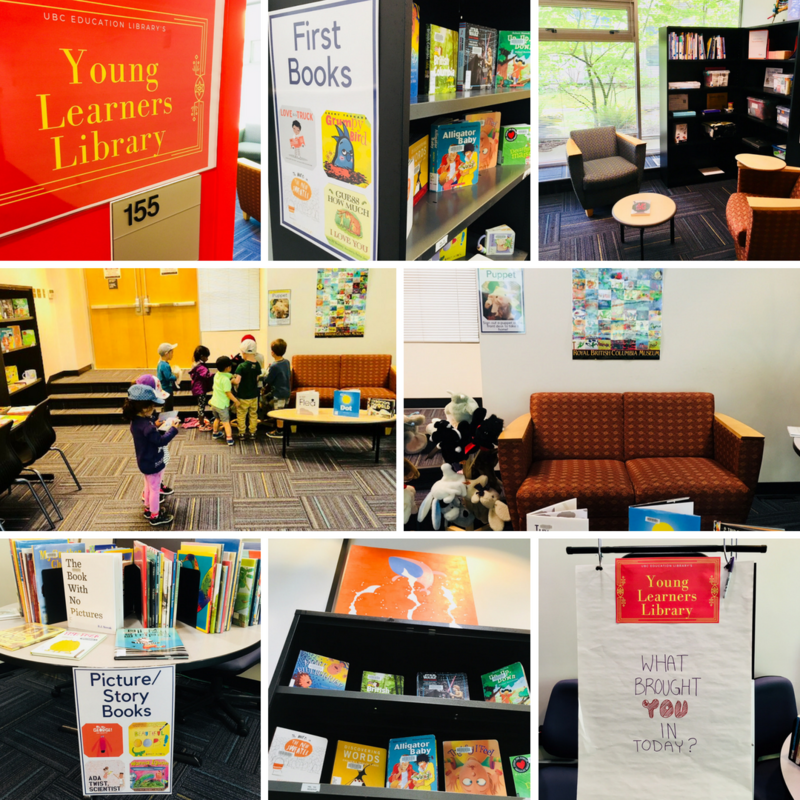 UBC Education Library welcomes children and families on Friday, May 18th to our special “Young Learners Library” lounge area. From 8am to 5pm, room 155, which is usually a computer commons area, will be transformed into a miniature young person’s library. Find a cozy seat in a soft chair or sit on the sofa with a friend or family member and share a book! Books will be arranged at tables into the following categories: First Books, Picture/Story Books, Readers, Early Chapter Books. Children’s Novels and Young Adult Novels. Our Makerspace Kits and puppets will also be on display in the lounge and available for borrowing as usual.